Looking for real ways to make money online? 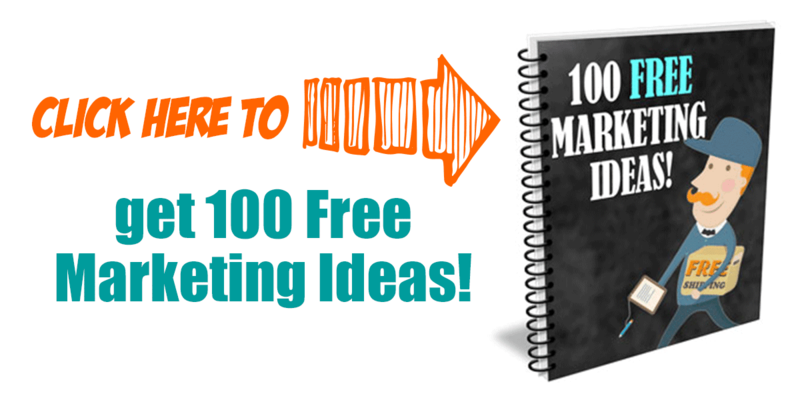 100 ideas that do not involve taking surveys! Some are super easy that you can do without paying anything and some are longer, “grow an audience types”. All are legitimate, make money from home ways you can grow your income. Ranging from fast (social media) to slow (blogging) and everything in between! 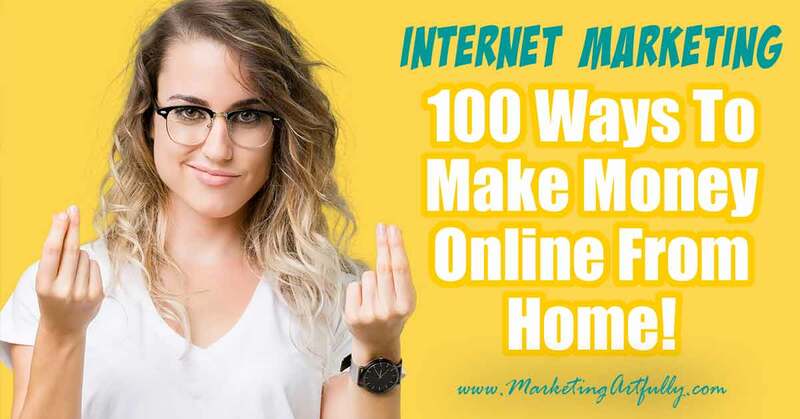 No fluff, just a good solid list of ways to make money on the internet including blogging, social media, digital products, online sales, and more. Where possible I have made sure that as many of my suggestions are easy passive income opportunities rather than requiring a whole bunch of effort after they are set up. Please note, there are affiliate links in this post, check out all my policies here. 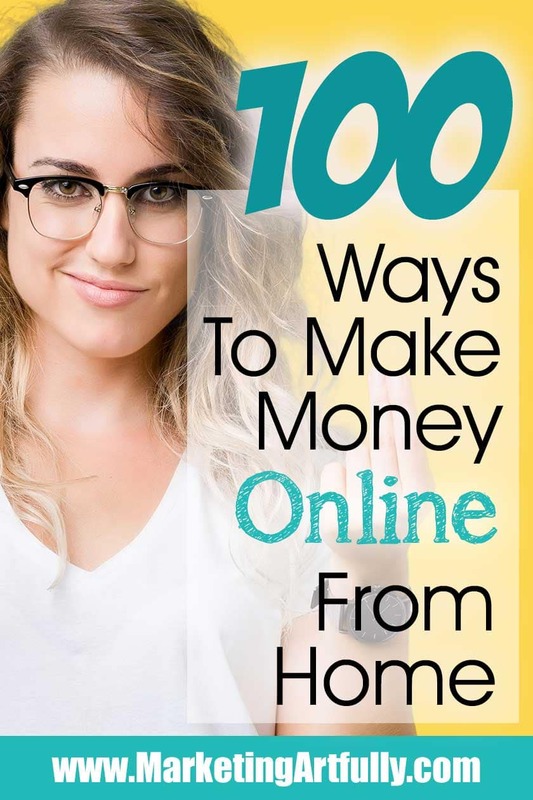 Ever ask yourself, “How can I make money online?” For years I dabbled with all different kinds of things to make money with my blog or social media and wah, wah, wah. Not much going on… but now, sunshine and rainbows! For real… I make money from all different places. It was not easy, but super fun to learn new things and FINALLY get things going consistently and profitably! My secret? Diversification! To most of us entrepreneurs that sounds like getting scattered and not focusing, but honestly, the more ways that we can make money, the more chances we have for getting discovered and having a breakout hit on our hands. Additionally, not everyone loves the same things we do. I happen to love buying my books from Amazon, but some people like downloading a PDF and others want to buy a course and watch the content. I think this is a huge thing that is overlooked when we get myopic and start thinking everyone shops and surfs around the internet the same way we do. I have broken this down into sections with different kinds of marketing channels so that no matter what you like to do, you can find something that will help you diversify your streams of income and make more money in the coming year. My favorite Email provider (I have tried SO MANY!) Convertkit! Instagram – Instagram is a great place to sell your physical products! When I started this post about how to make money using your blog, internet marketing and social media I thought there would a ton of great posts out there competing with me, but I found lots of fluff and not really solid information. Like much of what I write, I made this list for myself so I could quickly and easily think of ways to make multiple streams of income that would allow me to diversify my income. Another thing… don’t give up! Now I make almost 5K a month passively between my affiliate efforts, my blog ads and selling printables on Etsy…. whoo whoo! It wasn’t easy getting everything set up and building my blog traffic, but honestly, it is the best thing I have ever done… do it for you! Where I use a product I tried to let you know. While there are a couple of affiliate links in there, all opinions are my own and none of were paid for promotion.